Bright White Clearcoat exterior, Tradesman trim. 4x4, Bed Liner, iPod/MP3 Input, Back-Up Camera, Trailer Hitch, TRANSMISSION: 6-SPEED AUTOMATIC 66RFE... SNOW CHIEF GROUP, POPULAR EQUIPMENT GROUP, SPRAY IN BEDLINER. SEE MORE! KEY FEATURES INCLUDE 4x4, Back-Up Camera, iPod/MP3 Input, Trailer Hitch Privacy Glass, Child Safety Locks, Electronic Stability Control, Heated Mirrors, Electrochromic rearview mirror. OPTION PACKAGES RADIO: UCONNECT 3 W/5 DISPLAY 5.0 Touchscreen Display, Overhead Console, GPS Antenna Input, Temperature & Compass Gauge, Integrated Voice Command w/Bluetooth, Remote USB Port - Charge Only, SiriusXM Satellite Radio, For More Info, Call 800-643-2112, 1-Year SiriusXM Radio Service, POPULAR EQUIPMENT GROUP Remote Keyless Entry, Carpet Floor Covering, Front & Rear Floor Mats, SiriusXM Satellite Radio, For More Info, Call 800-643-2112, 1-Year SiriusXM Radio Service, SPRAY IN BEDLINER, SNOW CHIEF GROUP Transfer Case Skid Plate Shield, I/P Mounted Auxiliary Switches, Clearance Lamps, Tires: LT275/70R18E OWL On/Off Road, ENGINE: 6.4L HEAVY DUTY V8 HEMI W/MDS Hemi Badge, GVWR: 10,800 lbs, 180 Amp Alternator, Next Generation Engine Controller, PARKSENSE REAR PARK ASSIST SYSTEM, TRANSMISSION: 6-SPEED AUTOMATIC 66RFE (STD). VEHICLE REVIEWS KBB.com explains When it comes to ability, Ram's heavy-duty 2018 2500/3500 HD pickup trucks have more than enough muscle to back up their bold and rugged appearance.. VISIT US TODAY At Waconia new and used Chrysler, Dodge, Ram and Jeep dealership. Has been a locally owned and operated family business since 1965. We strive to exceed your expectations. With a knowledgeable sales team, large inventory and everyday low prices, Waconia is the only place you will need to shop for a new or used car by Chrysler, Dodge, Ram or Jeep. Please confirm the accuracy of the included equipment by calling us prior to purchase. Bright White Clearcoat exterior, Tradesman trim. Turbo Charged Engine, Bed Liner, 4x4, iPod/MP3 Input, Back-Up Camera, TRANSMISSION: 6-SPEED AUTOMATIC 68RFE... ENGINE: 6.7L I6 CUMMINS TURBO DIESEL, SNOW CHIEF GROUP, Hitch AND MORE! KEY FEATURES INCLUDE 4x4, Back-Up Camera, iPod/MP3 Input, Trailer Hitch. MP3 Player, Privacy Glass, Child Safety Locks, Electronic Stability Control, Heated Mirrors. OPTION PACKAGES ENGINE: 6.7L I6 CUMMINS TURBO DIESEL Cummins Turbo Diesel Badge, Current Generation Engine Controller, GVWR: 11,700 lbs, Diesel Exhaust Brake, Selective Catalytic Reduction (Urea), 180 Amp Alternator, RAM Active Air, WHEEL TO WHEEL SIDE STEPS, POPULAR EQUIPMENT GROUP Remote Keyless Entry, Carpet Floor Covering, Front & Rear Floor Mats, SiriusXM Satellite Radio, For More Info, Call 800-643-2112, 1-Year SiriusXM Radio Service, SPRAY IN BEDLINER, SNOW CHIEF GROUP Transfer Case Skid Plate Shield, I/P Mounted Auxiliary Switches, Clearance Lamps, Tires: LT275/70R18E OWL On/Off Road, PARKSENSE REAR PARK ASSIST SYSTEM, RADIO: UCONNECT 3.0 Integrated Voice Command w/Bluetooth, TRANSMISSION: 6-SPEED AUTOMATIC 68RFE 3.42 Axle Ratio, Front Armrest w/Cupholders. VEHICLE REVIEWS When it comes to ability, Ram's heavy-duty 2018 2500/3500 HD pickup trucks have more than enough muscle to back up their bold and rugged appearance. -KBB.com. VISIT US TODAY At Waconia new and used Chrysler, Dodge, Ram and Jeep dealership. Has been a locally owned and operated family business since 1965. We strive to exceed your expectations. With a knowledgeable sales team, large inventory and everyday low prices, Waconia is the only place you will need to shop for a new or used car by Chrysler, Dodge, Ram or Jeep. Please confirm the accuracy of the included equipment by calling us prior to purchase. Turbo Charged Engine, Bed Liner, 4x4, iPod/MP3 Input, Back-Up Camera, TRANSMISSION: 6-SPEED AUTOMATIC 68RFE... ENGINE: 6.7L I6 CUMMINS TURBO DIESEL, SNOW CHIEF GROUP. Granite Crystal Metallic Clearcoat exterior, Tradesman trim CLICK ME! KEY FEATURES INCLUDE 4x4, Back-Up Camera, iPod/MP3 Input, Trailer Hitch MP3 Player, Privacy Glass, Child Safety Locks, Electronic Stability Control, Heated Mirrors. OPTION PACKAGES ENGINE: 6.7L I6 CUMMINS TURBO DIESEL Cummins Turbo Diesel Badge, Current Generation Engine Controller, GVWR: 11,700 lbs, Diesel Exhaust Brake, Selective Catalytic Reduction (Urea), 180 Amp Alternator, RAM Active Air, WHEEL TO WHEEL SIDE STEPS, POPULAR EQUIPMENT GROUP Remote Keyless Entry, Carpet Floor Covering, Front & Rear Floor Mats, SiriusXM Satellite Radio, For More Info, Call 800-643-2112, 1-Year SiriusXM Radio Service, SPRAY IN BEDLINER, SNOW CHIEF GROUP Transfer Case Skid Plate Shield, I/P Mounted Auxiliary Switches, Clearance Lamps, Tires: LT275/70R18E OWL On/Off Road, PARKSENSE REAR PARK ASSIST SYSTEM, RADIO: UCONNECT 3.0 Integrated Voice Command w/Bluetooth, TRANSMISSION: 6-SPEED AUTOMATIC 68RFE 3.42 Axle Ratio, Front Armrest w/Cupholders. EXPERTS ARE SAYING KBB.com's review says When it comes to ability, Ram's heavy-duty 2018 2500/3500 HD pickup trucks have more than enough muscle to back up their bold and rugged appearance.. WHO WE ARE At Waconia new and used Chrysler, Dodge, Ram and Jeep dealership. Has been a locally owned and operated family business since 1965. We strive to exceed your expectations. With a knowledgeable sales team, large inventory and everyday low prices, Waconia is the only place you will need to shop for a new or used car by Chrysler, Dodge, Ram or Jeep. Please confirm the accuracy of the included equipment by calling us prior to purchase. Bright Silver Metallic Clearcoat exterior, Tradesman trim. Turbo Charged Engine, Bed Liner, 4x4, iPod/MP3 Input, Back-Up Camera, TRANSMISSION: 6-SPEED AUTOMATIC 68RFE... ENGINE: 6.7L I6 CUMMINS TURBO DIESEL, SNOW CHIEF GROUP AND MORE! KEY FEATURES INCLUDE 4x4, Back-Up Camera, iPod/MP3 Input, Trailer Hitch MP3 Player, Privacy Glass, Child Safety Locks, Electronic Stability Control, Heated Mirrors. OPTION PACKAGES ENGINE: 6.7L I6 CUMMINS TURBO DIESEL Cummins Turbo Diesel Badge, Current Generation Engine Controller, GVWR: 11,700 lbs, Diesel Exhaust Brake, Selective Catalytic Reduction (Urea), 180 Amp Alternator, RAM Active Air, WHEEL TO WHEEL SIDE STEPS, POPULAR EQUIPMENT GROUP Remote Keyless Entry, Carpet Floor Covering, Front & Rear Floor Mats, SiriusXM Satellite Radio, For More Info, Call 800-643-2112, 1-Year SiriusXM Radio Service, SPRAY IN BEDLINER, SNOW CHIEF GROUP Transfer Case Skid Plate Shield, I/P Mounted Auxiliary Switches, Clearance Lamps, Tires: LT275/70R18E OWL On/Off Road, PARKSENSE REAR PARK ASSIST SYSTEM, RADIO: UCONNECT 3.0 Integrated Voice Command w/Bluetooth, TRANSMISSION: 6-SPEED AUTOMATIC 68RFE 3.42 Axle Ratio, Front Armrest w/Cupholders. EXPERTS CONCLUDE KBB.com's review says When it comes to ability, Ram's heavy-duty 2018 2500/3500 HD pickup trucks have more than enough muscle to back up their bold and rugged appearance.. MORE ABOUT US At Waconia new and used Chrysler, Dodge, Ram and Jeep dealership. Has been a locally owned and operated family business since 1965. We strive to exceed your expectations. With a knowledgeable sales team, large inventory and everyday low prices, Waconia is the only place you will need to shop for a new or used car by Chrysler, Dodge, Ram or Jeep. Please confirm the accuracy of the included equipment by calling us prior to purchase. IPod/MP3 Input, Bluetooth, Keyless Start, Back-Up Camera, ENGINE: 6.7L I6 CUMMINS TURBO DIESEL, TRANSMISSION: 6-SPEED AUTOMATIC 68RFE... TRADESMAN LEVEL 2 EQUIPMENT GROUP. Tradesman trim, Bright White Clearcoat exterior. SEE MORE! KEY FEATURES INCLUDE 4x4, Back-Up Camera, iPod/MP3 Input, Bluetooth, Trailer Hitch, Keyless Start MP3 Player, Privacy Glass, Child Safety Locks, Heated Mirrors, Electronic Stability Control. OPTION PACKAGES ENGINE: 6.7L I6 CUMMINS TURBO DIESEL GVWR: 12,300 lbs, Current Generation Engine Controller, Diesel Exhaust Brake, RAM Active Air, Heavy Duty Engine Cooling, Capless Fuel Fill w/o Discriminator, Cummins Turbo Diesel Badge, Dual 730 Amp Maintenance Free Batteries, Supplemental Heater, Selective Catalytic Reduction (Urea), TRADESMAN LEVEL 2 EQUIPMENT GROUP Rear Window Defroster, Remote Keyless Entry, Rear Power Sliding Window, Carpet Floor Covering, For More Info, Call 800-643-2112, Satin Chrome Interior Door Handles, 1-Year SiriusXM Radio Service, SINGLE DISC REMOTE CD PLAYER Front Center Seat Cushion Storage, TRANSMISSION: 6-SPEED AUTOMATIC 68RFE Urethane Shift Knob. 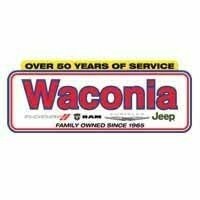 WHY BUY FROM US At Waconia new and used Chrysler, Dodge, Ram and Jeep dealership. Has been a locally owned and operated family business since 1965. We strive to exceed your expectations. With a knowledgeable sales team, large inventory and everyday low prices, Waconia is the only place you will need to shop for a new or used car by Chrysler, Dodge, Ram or Jeep. Please confirm the accuracy of the included equipment by calling us prior to purchase. Navigation, Heated/Cooled Leather Seats, Bed Liner, Aluminum Wheels, 4x4, Turbo Charged, TRANSMISSION: 6-SPEED AUTOMATIC 68RFE... ENGINE: 6.7L I6 CUMMINS TURBO DIESEL, KEYLESS-GO. Bright White Clearcoat exterior, Laramie trim. READ MORE! KEY FEATURES INCLUDE Leather Seats, 4x4, Heated Driver Seat, Cooled Driver Seat, Back-Up Camera, Trailer Hitch, Aluminum Wheels, Dual Zone A/C, WiFi Hotspot, Smart Device Integration, Heated Seats, Heated Leather Seats, Heated/Cooled Seats Privacy Glass, Child Safety Locks, Steering Wheel Controls, Electronic Stability Control, Heated Mirrors. OPTION PACKAGES ENGINE: 6.7L I6 CUMMINS TURBO DIESEL Cummins Turbo Diesel Badge, Current Generation Engine Controller, GVWR: 11,700 lbs, Diesel Exhaust Brake, Selective Catalytic Reduction (Urea), RAM Active Air, RADIO: UCONNECT 4C NAV W/8.4 DISPLAY SiriusXM Travel Link, 5-Year SiriusXM Travel Link Service, 5-Year SiriusXM Traffic Service, 1-Year SiriusXM Guardian Trial, HD Radio, Media Hub (2 USB, AUX), SiriusXM Traffic Plus, GPS Navigation, SPRAY IN BEDLINER, SNOW CHIEF GROUP 220 Amp Alternator, Transfer Case Skid Plate Shield, I/P Mounted Auxiliary Switches, Clearance Lamps, Tires: LT275/70R18E OWL On/Off Road, CONVENIENCE GROUP Auto High Beam Headlamp Control, Rain Sensitive Windshield Wipers, REMOTE START SYSTEM, KEYLESS-GO Remote Proximity Keyless Entry, TRANSMISSION: 6-SPEED AUTOMATIC 68RFE 3.42 Axle Ratio. EXPERTS RAVE KBB.com's review says When it comes to ability MORE ABOUT US At Waconia new and used Chrysler, Dodge, Ram and Jeep dealership. Has been a locally owned and operated family business since 1965. We strive to exceed your expectations. With a knowledgeable sales team, large inventory and everyday low prices, Waconia is the only place you will need to shop for a new or used car by Chrysler, Dodge, Ram or Jeep. Please confirm the accuracy of the included equipment by calling us prior to purchase. Heated/Cooled Leather Seats, Moonroof, Navigation, Trailer Hitch, SPORT APPEARANCE GROUP, Turbo Charged, CONVENIENCE GROUP, 4x4, KEYLESS-GO, ENGINE: 6.7L I6 CUMMINS TURBO DIESEL. Laramie trim, Bright White Clearcoat exterior. CLICK ME! KEY FEATURES INCLUDE Leather Seats, 4x4, Heated Driver Seat, Cooled Driver Seat, Back-Up Camera, Trailer Hitch, Dual Zone A/C, Smart Device Integration, WiFi Hotspot, Heated Seats, Heated Leather Seats, Heated/Cooled Seats Privacy Glass, Child Safety Locks, Steering Wheel Controls, Electronic Stability Control, Electrochromic rearview mirror. OPTION PACKAGES ENGINE: 6.7L I6 CUMMINS TURBO DIESEL Cummins Turbo Diesel Badge, GVWR: 12,300 lbs, Front Bumper Sight Shields, Current Generation Engine Controller, Diesel Exhaust Brake, Selective Catalytic Reduction (Urea), RAM Active Air, SPORT APPEARANCE GROUP Body Color Door Handles, Power Fold Black Trailer Tow Mirror w/Memory, Highline Door Trim Panel, Body Color Grille w/RAM, Instrument Panel Premium Bezel, Black MIC Exterior Mirrors, Painted Front Bumper, Painted Rear Bumper, Bi-Function Black Projector Headlamp, Black Premium Tail Lamp, POWER SUNROOF, RADIO: UCONNECT 4C NAV W/8.4 DISPLAY SiriusXM Travel Link, 5-Year SiriusXM Travel Link Service, 5-Year SiriusXM Traffic Service, 1-Year SiriusXM Guardian Trial, HD Radio, Media Hub (2 USB, AUX), SiriusXM Traffic Plus, GPS Navigation, 8.4 Touchscreen Display, WHEELS: 20 X 8.0 BLACK PAINTED ALUMINUM Black Wheel Center Hub, Tires: LT285/60R20E OWL On/Off Road, CONVENIENCE GROUP Auto High Beam Headlamp Control, Rain Sensitive Windshield Wipers, REMOTE START SYSTEM, KEYLESS-GO Remote Proximity Keyless Entry, POWER ADJUSTABLE PEDALS W/MEMORY Radio/Driver Seat/Mirrors/Pedals Memory, TRANSMISSION: 6-SPEED AUTOMATIC 68RFE 3.42 Axle Ratio. EXPERTS REPORT KBB.com's review says When it comes to ability VISIT US TODAY At Waconia new and used Chrysler, Dodge Please confirm the accuracy of the included equipment by calling us prior to purchase. Navigation, Heated/Cooled Leather Seats, Sunroof, 4x4, Turbo Charged, TRANSMISSION: 6-SPEED AUTOMATIC AISIN... CONVENIENCE GROUP, SPORT APPEARANCE GROUP, KEYLESS-GO. Laramie trim, Bright Silver Metallic Clearcoat exterior. AND MORE! KEY FEATURES INCLUDE Leather Seats, 4x4, Heated Driver Seat, Cooled Driver Seat, Back-Up Camera, Trailer Hitch, Dual Zone A/C, WiFi Hotspot, Smart Device Integration, Heated Seats, Heated Leather Seats, Heated/Cooled Seats Privacy Glass, Child Safety Locks, Steering Wheel Controls, Electronic Stability Control, Electrochromic rearview mirror. OPTION PACKAGES ENGINE: 6.7L I6 CUMMINS TURBO DIESEL Cummins Turbo Diesel Badge, GVWR: 12,300 lbs, Front Bumper Sight Shields, Current Generation Engine Controller, Diesel Exhaust Brake, Selective Catalytic Reduction (Urea), RAM Active Air, TRANSMISSION: 6-SPEED AUTOMATIC AISIN AS69RC HD 3.42 Axle Ratio, Transmission Oil Cooler, SPORT APPEARANCE GROUP Body Color Door Handles, Power Fold Black Trailer Tow Mirror w/Memory, Highline Door Trim Panel, Body Color Grille w/RAM, Instrument Panel Premium Bezel, Black MIC Exterior Mirrors, Painted Front Bumper, Painted Rear Bumper, Bi-Function Black Projector Headlamp, Black Premium Tail Lamp, POWER SUNROOF, RADIO: UCONNECT 4C NAV W/8.4 DISPLAY SiriusXM Travel Link, 5-Year SiriusXM Travel Link Service, 5-Year SiriusXM Traffic Service, 1-Year SiriusXM Guardian Trial, HD Radio, Media Hub (2 USB, AUX), SiriusXM Traffic Plus, GPS Navigation, 8.4 Touchscreen Display, WHEELS: 20 X 8.0 BLACK PAINTED ALUMINUM Black Wheel Center Hub, Tires: LT285/60R20E OWL On/Off Road, CONVENIENCE GROUP Auto High Beam Headlamp Control, Rain Sensitive Windshield Wipers, REMOTE START SYSTEM, KEYLESS-GO Remote Proximity Keyless Entry. EXPERTS CONCLUDE When it comes to ability BUY FROM AN AWARD WINNING DEALER At Waconia new and used Chrysler, Dodge Please confirm the accuracy of the included equipment by calling us prior to purchase. Heated Leather Seats, Premium Sound System, 4x4, iPod/MP3 Input, Satellite Radio, BED UTILITY GROUP, TRANSMISSION: 6-SPEED AUTOMATIC 68RFE... LARAMIE LEVEL 1 EQUIPMENT GROUP, Turbo. Laramie trim, Pearl White exterior SEE MORE! KEY FEATURES INCLUDE Leather Seats, 4x4, Premium Sound System, Satellite Radio, iPod/MP3 Input, Bluetooth, Trailer Hitch, Remote Engine Start, Dual Zone A/C, WiFi Hotspot, Smart Device Integration, Heated Leather Seats MP3 Player, Privacy Glass, Keyless Entry, Steering Wheel Controls, Child Safety Locks. OPTION PACKAGES ENGINE: 6.7L I6 CUMMINS TURBO DIESEL GVWR: 12,300 lbs, Current Generation Engine Controller, 220 Amp Alternator, Diesel Exhaust Brake, RAM Active Air, Heavy Duty Engine Cooling, Capless Fuel Fill w/o Discriminator, Cummins Turbo Diesel Badge, Dual 730 Amp Maintenance Free Batteries, Supplemental Heater, Selective Catalytic Reduction (Urea), LARAMIE LEVEL 1 EQUIPMENT GROUP Foam Bottle Insert (Door Trim Panel), Ventilated Front Seats, Auto High Beam Headlamp Control, Rain Sensitive Windshield Wipers, 2nd Row In Floor Storage Bins, Radio/Driver Seat/Mirrors/Pedals Memory, Single Disc Remote CD Player, Blind Spot & Cross Path Detection, Power Adjustable Convex Aux Mirrors, Power Chrome Tow Mirrors w/Convex Spotter & Memory, Exterior Mirrors w/Memory, Mirror-Mounted Aux Reverse Lamps, Remote Tailgate Release, Power Adjustable Pedals w/Memory, DUAL REAR WHEELS Tires: LT235/80R17E BSW AS, GVWR: 14,000 lbs, Wheels: 17 x 6.0 Polished Aluminum, Clearance Lamps, Tire Pressure Monitoring Delete, 17 Steel Spare Wheel, 6000# Front Axle w/Hub Ext, Box & Rear Fender Clearance Lamps, TOWING TECHNOLOGY GROUP Power Adjustable Convex Aux Mirrors, Power Chrome Tow Mirrors w/Convex Spotter & Memory, Exterior Mirrors w/Memory, Trailer Reverse Guidance, Mirror-Mounted Aux Reverse Lamps, Surround View Camera System, BED UTILITY GROUP LED Bed Lighting Please confirm the accuracy of the included equipment by calling us prior to purchase. Moonroof, Nav System, 4x4, Hitch, Turbo Charged Engine, TRANSMISSION: 6-SPEED AUTOMATIC 68RFE... ENGINE: 6.7L I6 CUMMINS TURBO DIESEL, TOWING TECHNOLOGY GROUP, POWER SUNROOF. Diamond Black Crystal P/C exterior, Big Horn trim. SEE MORE! KEY FEATURES INCLUDE 4x4, Trailer Hitch Privacy Glass, Keyless Entry, Child Safety Locks, Electronic Stability Control, Brake Assist. OPTION PACKAGES ENGINE: 6.7L I6 CUMMINS TURBO DIESEL GVWR: 12,300 lbs, Current Generation Engine Controller, Diesel Exhaust Brake, RAM Active Air, Heavy Duty Engine Cooling, Capless Fuel Fill w/o Discriminator, Cummins Turbo Diesel Badge, Dual 730 Amp Maintenance Free Batteries, Supplemental Heater, Selective Catalytic Reduction (Urea), BIG HORN LEVEL 2 EQUIPMENT GROUP Rear Window Defroster, Cluster 7.0 TFT Color Display, Rear Power Sliding Window, Steering Wheel Mounted Audio Controls, Sun Visors w/Illuminated Vanity Mirrors, Footwell Courtesy Lamp, Glove Box Lamp, Integrated Center Stack Radio, Leather Wrapped Steering Wheel, Power Adjustable Folding Heated Black Tow Mirrors, 2nd Row In Floor Storage Bins, Dual Remote USB Port, Power Adjustable Pedals, Foam Bottle Insert (Door Trim Panel), Google Android Auto, Dampened Tailgate, Front Fog Lamps, 115V Auxiliary Power Outlet, 400W Inverter, For More Info, Call 800-643-2112, ParkSense Front/Rear Park Assist System, Radio: Uconnect 4 w/8.4 Display, Dual Glove Boxes, Rear Dome w/On/Off Switch Lamp, Universal Garage Door Opener, Air Conditioning ATC w/Dual Zone Control, TOWING TECHNOLOGY GROUP Power Adjustable Convex Aux Mirrors, Premium Power Black Tow Mirrors w/Convex Spotter, Trailer Reverse Guidance, CTR Stop Lamp w/Cargo View Camera, Mirror-Mounted Aux Reverse Lamps, Surround View Camera System, Blind Spot & Cross Path Detection, Premium Lighting Group, LED Taillamps, Front LED Fog Lamps, LED Reflector Headlamps, Power Adjustable Folding Heated Black Tow Mirrors Please confirm the accuracy of the included equipment by calling us prior to purchase.